Today I got my new diaper bag in the mail. I have been using Wes's army green Skip Hop diaper bag for the past 5 months. It is so durable, has a gajillion pockets to keep me organized (oh goodness, there she goes again), and it's very 100% washable! Which I learned with my last diaper bag that I desperately need. 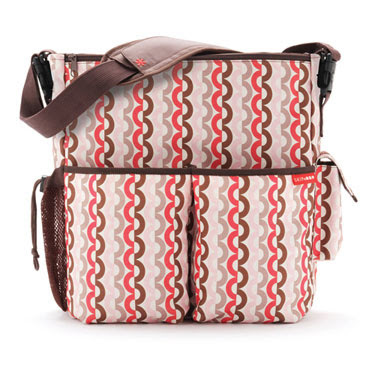 My gorgeous Petunia Pickle Bottom diaper bag is on its last leg. So I decided to get my own Skip Hop. And it's a little girly...I am fully embracing the girliness. Mod Girly, though! You can find them at an incredibly affordable price at SKIPHOP.COM. Plus they have a great feature where you can clip the bag to a stroller so that it doesn't hang down low and hit your knee caps as you are trying to have a leisurely stroll, or brisk jaunt. Tonight Finn's Grandma Johnson brought over 2 pairs of uber-cute PJ pants. Finn is OBSESSED with Cars (tied with Babe...still). 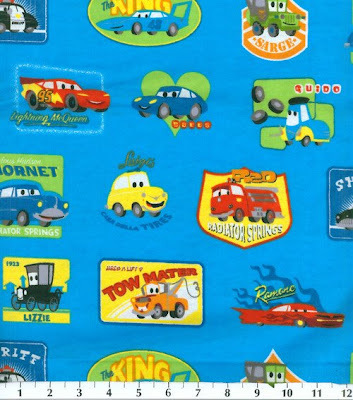 I loved the Cars fabric she found so much that I ordered 5 yards of it to make a little duvet cover for his toddler bed (maybe it will entice him to actually SLEEP in it). When I was 9 months pregnant with Finn I decided to recover the hand-me-down glider. My mom humored me amidst glances that clearly (now that I think about it) said, "Really? You're doing this the day after your due date?!?!" Why oh why do I take on these extensive creative projects in my third trimester? But look at the stylized, retro illustration style on that flannel! You wouldn't be able to resist, either, especially if you saw Finn's face when he saw the PJ pants! You can find the fabric HERE, and a 50% off coupon HERE. That's right—$26 for 5 yards delivered to my door. 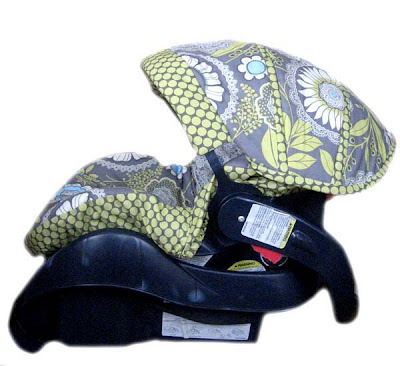 And finally, Baby Girl is getting a new car seat cover compliments of Natitys Design Boutique. I did some blog banner work for her a while ago, so I revisited to take advantage of her darling designs. I love the gray one below. But Wes said, "Too...paisley." (Meaning too much flourishy pattern all over the place for his taste.) And since he has to carry that car seat around (possibly more than me), we decided on the beautiful butterfly fabric at the bottom. I am super excited to see how it turns out. You can find these designs HERE (along with loads of other handmade baby/children goodies). I know I am probably overindulging in all of this new baby gear, but after this girl, the next bambino will already have everything they could possibly need, boy or girl. So I am living it up while I can, by golly! All very cute. I even indulged in a few new things when Gavin arrived too, even though he was a boy and I had all things boy to begin with. I think it is a continuation of the nesting syndrome or just the need to celebrate the new life with a few new things. Very exciting. Cheers! All the girly stuff is so yummy! Darn Wes didn't like the "paisley" one...it had gray in it!!! 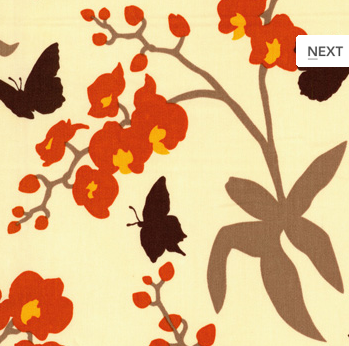 The butterfly one looks equally darling and I can't wait to see it completed too. It's when I see things like this that I consider...maybe one more baby! But that would take us another five years...so I will just have to drool over everyone else's baby stuff!